Day 1: Arrive in Leh. Rest & Acclimatization. Day 2: Acclimatization in Leh. Day 3: Drive to Zingchen. (1 Hour). Trek to Ganda La base (3-4 hours). Day 4: Ganda La base - Shingo via Ganda La 6-7 hours. Day 5: Shingo – Sara (5 hours). Day 6: Sara – Markha (4 hours). Day 7: Markha - Thachungtse (5-6 hours). Day 8: Thachungtse - Nimaling (4 hours). Day 9: Nimaling - Shangsumdo via Kongmaru La (7 hours). Drive to Leh. Arrive in Leh. Rest & Acclimatization. Ganda La base - Shingo via Ganda La 6-7 hours. Shingo – Sara (5 hours). Sara – Markha (4 hours). Markha - Thachungtse (5-6 hours). Thachungtse - Nimaling (4 hours). Nimaling - Shangsumdo via Kongmaru La (7 hours). Drive to Leh. How safe is the Markha Valley Trek? a. While our itineraries are designed to allow for adequate acclimatization, most treks in the Indian Himalayas climb quickly, which is called forced ascents. 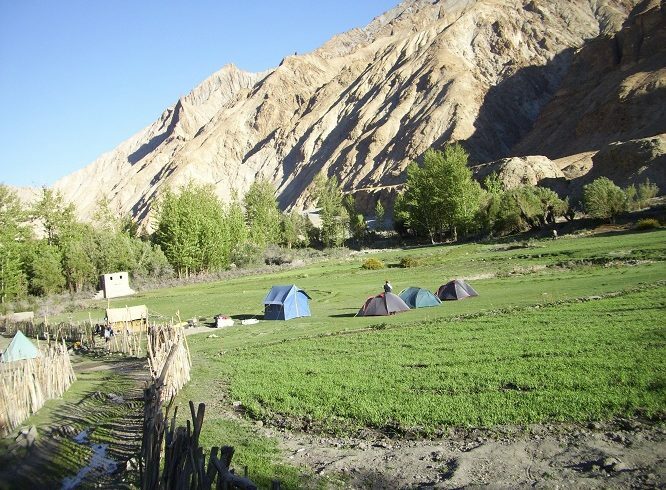 Unavailability of camp sites and the Indian Himalayan terrain are the reasons for this. There are chances that you will feel the effects of altitude sickness and oxygen deprivation while on this trek. Please be aware that your trek leader may deem it unsafe for you to continue trekking at any time, and arrange for you to descend to a lower attitude. b. Our trek leaders will conduct routine health checks at all camps to measure oxygen saturation, pulse and blood pressure. Altitude Adventure reserves the right to exclude any trekker from climbing higher on the trek without refund if the trekker’s vital readings are below accepted norms for that altitude. These norms are available with Altitude Adventure trek leaders. c. This is a high altitude trek with rough, rocky and snowy terrain. It is important that you are a fit and confident walker in mountain terrain, able to manage ascents and descents by yourself within a reasonable time. Altitude Adventure reserves the right to send a trekker back if, in the opinion of our trek leader, they are unable to complete the itinerary without requiring exclusive assistance. Please realistically self-assess your fitness and suitability for this trek before registering. Trek Meals (Starting Lunch on Day 3). Trek Permissions Fee, if any (Upto the amount charged for Indian nationals). 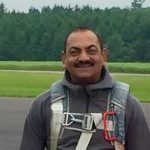 Experienced Guide and Support staff. Hotel/Guest House Stays in Leh (Day 1,2 & 8). Four warm layers: On the pass crossing day, you will need at least four warm layers (two lights layers such as fleece, one light sweater and one padded jacket) for this trek. Three trek pants: Wear one pair and carry two pairs. Denim/jeans and shorts are not suitable for trekking. Thermals (Mandatory): Those who are more susceptible to cold can carry thermals to wear at night. A high altitude trek in the Himalayas requires considerable fitness. Your body needs to train itself to process more work with lower levels of oxygen. Cardiovascular training before a trek is critically important. Training must include strength and flexibility workout. We have laid out the eligibility criteria here. Registering for the trek is an understanding that you will undertake the mandated fitness training. Altitude Adventure has the right to reject candidates who do not meet our eligibility requirement at the base camp. Cardiovascular endurance – Target 10 km in 60-70 minutes before the start of the trek. You can begin by jogging everyday. Start slow and increase your pace everyday. Swimming, cycling and stair climbing without too many breaks in between can help too. In order to be prepared for a high altitude trek, you should have a combination of distance and speed targets. –>Target completing 5 km in 35 minutes when you begin. –> Gradually increase your pace by running 4 times a week and bring it down to 5 km in less than 35 mins. –>If you are above 45 years and is comfortable with brisk walking, then target covering 10km in 90 minutes. If you are somebody you prefers cycling over running, then try to cover 22 km in 60 minutes.How to send us a proof of your fitness routine?Record your run on an app like Nike Run. Start recording your run when you start running. At the end of your run, hit the stop button.Take a screenshot of the summary of your run. We will need a detailed split of each kilometre of your run. This is usually integrated in all running apps.Note: Make sure your GPS is on when you record your run. If the GPS is off, we will not accept the screenshot.Upload two screenshots 10 days prior to the start of the trek — one of you covering 5km in less than 35 mins along with your picture and the other with splits of your run. Cancellation: If a trek is called off at the last moment due to a natural calamity/unforeseen circumstances (like rains, earthquake, landslides, strike, bandh etc), Altitude Adventure will issue a trek voucher for the full amount. The voucher can be redeemed for the same trek or another trek in the next one year. In case, you wish to cancel your trek, please fill the cancellation form and cancel. Cancellation requests will not be taken over phone or email. 2. Backpack offloading: Altitude Adventure expects all trekkers to carry their own backpacks. All common gear will be carried by the support team. If for some reason a trekker is unable to carry his or her backpack, he/she can offload the same by paying an additional charge. Backpack offloading charges – Rs 1,650 plus GST of 5%. Charges for last minute offloading during the trek will be Rs. 375 per day inclusive of tax. Partial offloading is not allowed. The backpack cannot weigh more than 9 kg. No suitcases/trolleys/duffel bags will be allowed. Online offloading in advance is possible up to two days prior to the trek start date. Emergency during trek: In a trek a medical emergency or any other emergency may arise. If for any reason you are sent down from the trek then Altitude Adventure will make arrangements for your return to the base camp or nearest road head. A staff will accompany you. He may not be a trained personnel. Evacuation or dealing with emergencies is extremely difficult in the mountains. It is time consuming as well. A normal trek of 2 hours may take 6 hours in an emergency (a sick person is not easy to evacuate). Doctors do not go along with a team. Doctors are not available at the base camp or nearest road head either. Altitude Adventure trek leaders are trained to administer first aid and know how to deal with issues related to the mountains. However, they are not doctors. 4. Non-liability: Altitude Adventure is not responsible for any loss/damage of your gears/equipment or other belongings on the trek. 5. Payment: Payment for the trek can be done online through credit/debit card or net banking. Cheque/draft or cash is not accepted. 6. Drinking and smoking: during the trek is strictly prohibited. If found flouting the rules, your participation on the trek will be cancelled with immediate effect. You have to reach Leh, which is the capital city of Ladakh, situated in the state of Jammu & Kashmir, India. Leh can be reached by Road and by Air. 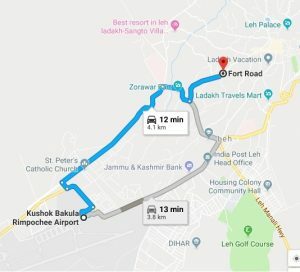 Reaching Leh by Road: You can reach Leh by road from Manali or Srinagar. These roads are closed due to the snowfall on high altitude passes in winter but they are open in summer starting from June upto September. In winter the only way to reach Leh is by flight. Reaching Leh by Air: Leh Airport is situated few kms on the outskirts of Leh city. All flights to Leh arrive in the morning. Prepaid Cabs are easily available once you are out of the arrival gate. Mention the name of your guest house/hotel and the cab will drop you there. Online booking for all treks with instant confirmation. Online Payments with all Debit & Credit Cards accepted (Select PAYPAL in Choose a Payment Gateway. Fill billing details and Click Confirm Booking).